How does complexity emerge in the universe? 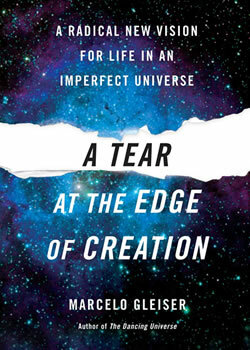 Marcelo Gleiser is a theoretical physicist at Dartmouth College specializing in particle cosmology—mixing the physics of the very smallest constituents of the universe with the physics of the universe as a whole. To make sense of the world and our place in the grand scheme of things, he studies the emergence of complex structures in nature, focusing on very fundamental questions related to what he calls the “three origins”: cosmos, life, and mind. It’s tempting to think science gives a God’s-eye view of reality. But we forget the place of human experience at our peril. How Much Can We Know? The reach of the scientific method is constrained by the limitations of our tools and the intrinsic impenetrability of some of nature’s deepest questions. In the 13.7 blog, Marcelo and Adam Frank aimed to present the passion, the drama, the social and intellectual relevance of science as one of the deepest expressions of engagement with the unknown. We all stand to lose from the gulf between the sciences and the humanities — and the classroom is the ideal place for conversations between these two cultures to unfold.